As this month raps up and we look to February, you may not have had a chance to catch up or see our great links, pictures, and posts on Facebook and Twitter. 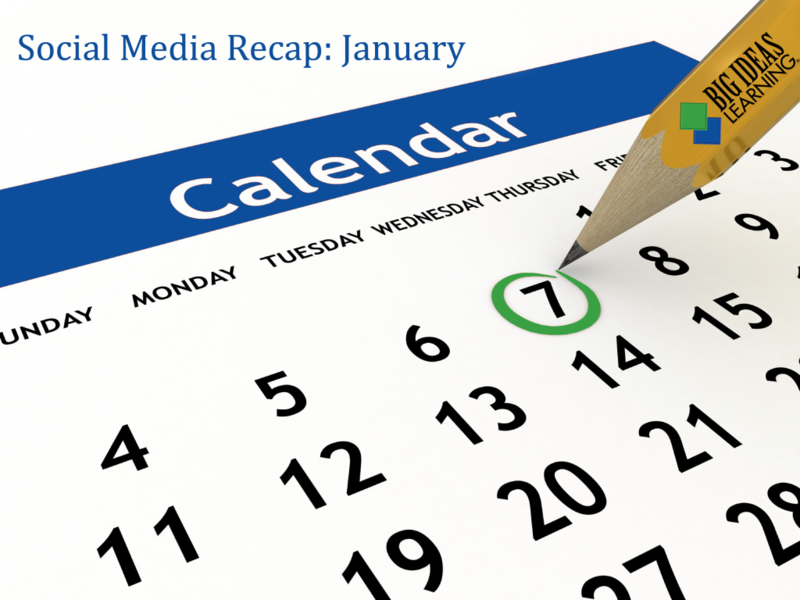 Big Ideas Learning recaps content posted throughout the month of January to Facebook, Twitter, and our blog in this month’s Social Media Recap. 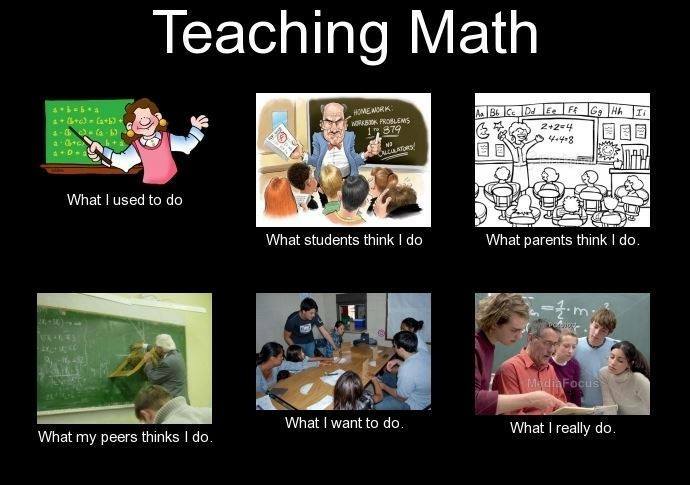 The Common Core In My Classroom: A Teacher’s View. Posted in Newletters, Social Media	| Tagged Big Ideas Math, social media, useful websites, videos, YouTube	| Be the first to comment! The flipped classroom is becoming more common in schools across the country. This is no surprise given the recent advancements in computers, the expanded use of tablets and iPads, and the increased familiarity with technology in general. In a flipped classroom technology is used to enhance student learning outside the classroom and class time is focused on understanding and delving into lesson topics in much more depth. What does a flipped classroom look like? A flipped classroom allows students to watch lectures and study lesson materials to gain knowledge of a particular topic outside of the classroom. In class, the teacher may revisit concepts for students, but concept engagements and working through exercises are the main focus. Basically, typical “homework” takes place in the classroom where teachers can offer individualized support as students deepen their knowledge of the concept. Students can learn at their own speed. They can read lesson materials at their own pace and can stop, pause, and rewind/rewatch videos at home. This allows students to spend as much or as little time with each lesson as they need, and students can also receive additional one-on-one help inside the classroom. Increases student engagements because students come into the classroom prepared to discuss the lesson topic and are more likely to participate in discussions when they are familiar with the material. Promotes student-centered learning, collaboration, and team-based skills. Teachers have the opportunity to work with each student individually or allow students to work in groups to complete in-class exercises. Classroom discussions are more focused because each student knows exactly what the topic of the day is through their lesson viewing / studying the previous evening. 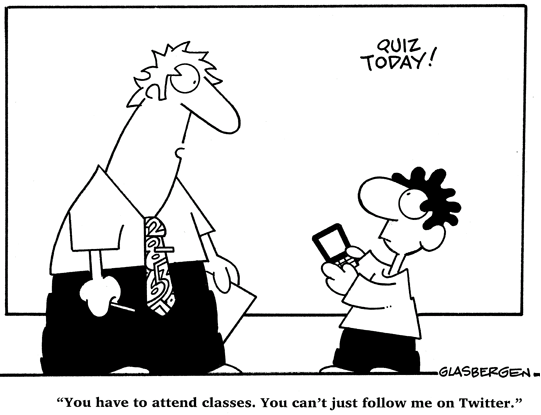 Not all school districts or students have access to all types of technology. This could make it very difficult for viewing videos or other lesson material online. Not all students may have access to the internet or high-speed internet depending on where they live. This could mean long loading times and streaming may not always be a possibility. Some students might not learn well from a computer screen or be uncomfortable studying on their own. It requires additional focus and often parental guidance. Students are being held accountable for learning on their own. For some less motivated students this may be a large challenge to overcome. We have compiled some great tips for flipping your math class. 1) Start by assigning a video for students to watch on a topic you would like to teach. 2) Once the students watch the video, ask them to post a question on a discussion board or private online forum and respond to classmates questions before the beginning of the next class. 3) Once in class, you can use the online discussion as a basis for classroom conversation. You can also spend time individually with students that need additional assistance on the topic. 4) As you become more comfortable with the flipped method, continue to expand the video viewing assignments to eventually reach a full lesson. 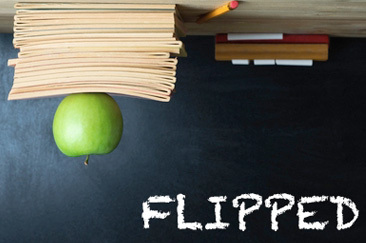 Are you thinking about flipping your classroom? Or have you already flipped your classroom? Let us know your thoughts on flipped classrooms or how you’re doing with your flipped classroom in the comments below! Posted in Resources	| Tagged 21st Century Classroom, Big Ideas Math, teachers, technology	| Be the first to comment! BOSTON – Global education leader Houghton Mifflin Harcourt (HMH) and renowned mathematics curriculum provider Big Ideas Learning today introduced the Big Ideas Math 2015 Common Core High School series – a balanced, rigorous suite of programs designed to provide a deeper understanding of math concepts through inquiry-based exploration. Already implemented in middle schools, this marks the first Big Ideas Mathcurriculum series for high school students and educators. The series, co-authored by well-known mathematics professors Ron Larson, Ph.D., and Laurie Boswell, Ed.D., is comprised of three critical high school mathematics programs — Algebra I, Geometry, and Algebra II. Each program strives to challenge students beyond basic memorization, enabling them to understand how concepts are inter-connected. Using real-life applications to build students’ conceptual understanding and procedural fluency, the series turns mathematical learning into an engaging and meaningful way to explore real world concepts and applications. The launch marks the introduction of the Dynamic Assessment and Progress Monitoring Tool to the Big Ideas Math series, enabling educators to track and monitor student progress throughout the school year. Its adaptive testing features and additional problem sets directly correlate to specific Common Core State Standards and lessons within the Big Ideas programs. The series provides students with digital resources for use in the classroom or after school, including an online student journal and interactive tools, as well as lesson tutorials and a game closet. The Big Ideas Math curriculum has already had a successful start to 2014, with the middle school series and Big Ideas Math Algebra 1 listed as California state-approved K-8 math programs last week. For more information or to preview Big Ideas Math, click here. About Houghton Mifflin Harcourt Houghton Mifflin Harcourt (NASDAQ:HMHC) is a global learning company with the mission of changing people’s lives by fostering passionate, curious learners. Among the world’s largest providers of pre-K–12 education solutions and one of its longest-established publishing houses, HMH combines cutting-edge research, editorial excellence and technological innovation to improve teaching and learning environments and solve complex literacy and education challenges. HMH’s interactive, results-driven education solutions are utilized by 50 million students in over 150 countries, and its renowned and awarded novels, non-fiction, children’s books and reference works are enjoyed by readers throughout the world. For more information, visit www.hmhco.com. Posted in News	| Be the first to comment! It’s the start of a new year for us here at Big Ideas. We are all very excited to start the journey with you and look forward to this year’s blog and the blog entries we have in store for all of you. This week, our guest blog comes from one of our consultants, Lou Montiel. Celebrate! Revel in the things that have been successful for you. Identify your successes and think about what things contributed to creating that success for you. Can these things be replicated across other arenas, or with other individuals? For example, I had a student once that had a difficult time understanding how to solve a proportion. I taught this student the rule for solving a proportion using a body kinesthetic math cheer. Once I saw how well she understood using this method, I applied it to other students with equal success! Analyze! Have you ever stopped to consider how you spend your time during a typical class? What behaviors are you engaging in that are productive? What behaviors are wasting time? What things have a high positive impact on students? What things have a low positive impact or even a negative impact on students? The answers to these questions are revealing and can often lead to changed behaviors with higher student success outcomes. I once had a trusted colleague observe my class while I was teaching and keep track of the percentage of students engaged during various parts of my lesson. It turned out that when I spent too much time explaining things that did not need explanation a high percentage of students became disengaged, but when I was teaching something new the interest level went up. Refresh! AHHH, just saying this word makes me feel better! To refresh is to renew energy, to reactivate memory, to replenish, or to update. All of these things are important when we teach. And when it comes to setting goals, sometimes we need to refresh our motivation to strive for those things which we set out at the onset with such great vigor only to have that vitality wane away over the course of time. Sometimes all it takes is to keep our goals in front of us, visible, tangible, and intentional. My wife often teases me about all the silly sticky notes she finds in various places where we live. She finds them on my bathroom mirror, on my nightstand, on the dashboard of my car, on my computer lid, on the refrigerator door and in other places. But for me, these notes refresh my memory and help me keep motivated towards goal attainment. Eliminate! Out with the old in with the new! Stop doing things that don’t work. It’s crazy to expect bad practices to lead to good results. Replace behaviors that bear no fruit with new seeds of hope and possibility. Try something new this year. You may be surprised it could become your new favorite thing. Best wishes for a successful start of the new year! Posted in Guest Blog, Professional Development	| Tagged Big Ideas Math, Depth of Knowledge, professional development, teachers	| Be the first to comment!